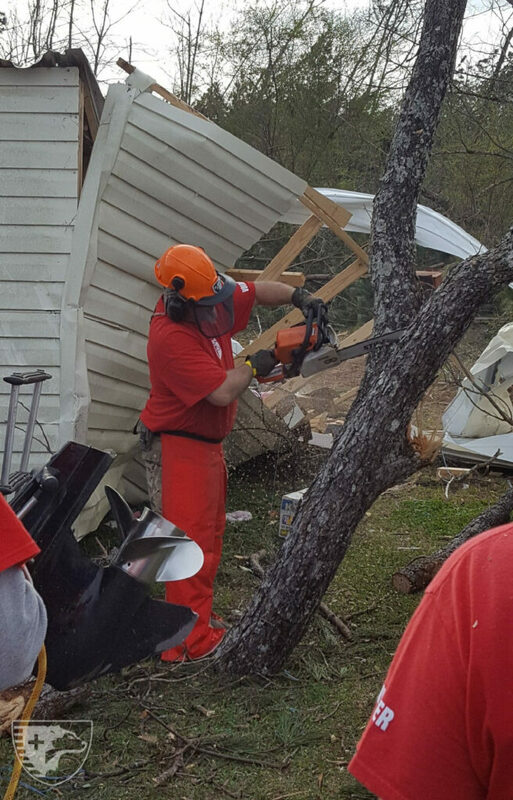 Recent Alabama tornadoes bring Sheep Dogs together for four days of meaningful volunteer work. On Sunday, March 3, tornadoes touched down across portions of Alabama, Georgia, Florida, and South Carolina. The worst of these was a devastating EF-4 tornado that claimed the lives of 23 people and destroyed numerous homes and businesses in Lee County, Alabama. Within 3 days, Sheep Dog Impact Assistance (SDIA) had a Disaster Response (DR) Team on the ground to help. And they did. 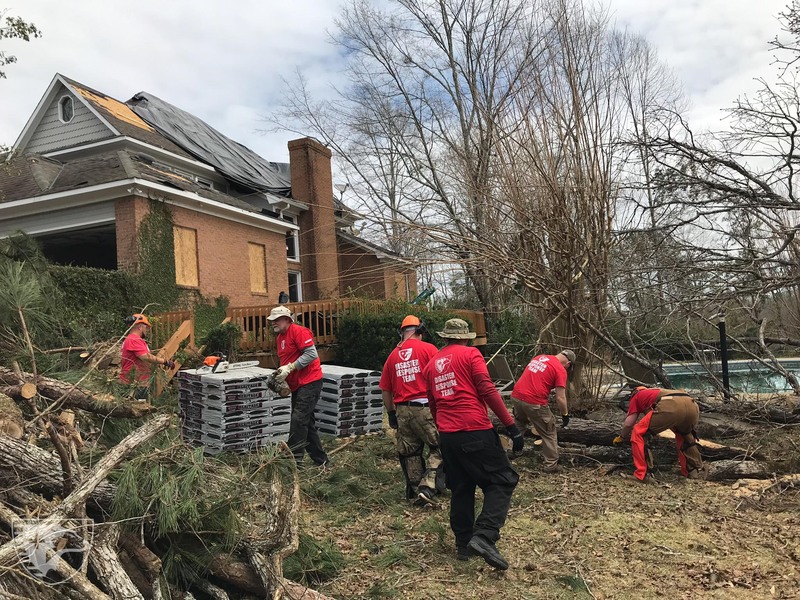 The DR Team conducted chainsaw operations in the area to clear more than 250 downed or damaged trees from roads, driveways, houses and 19 properties, as well as other meaningful work. 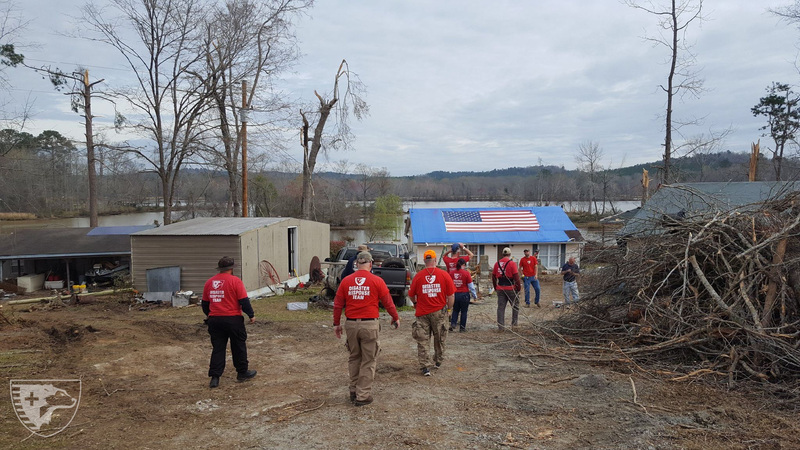 At the end of the four-day mission, the team had assisted 61 residents, including 20 veterans and 3 first responders. 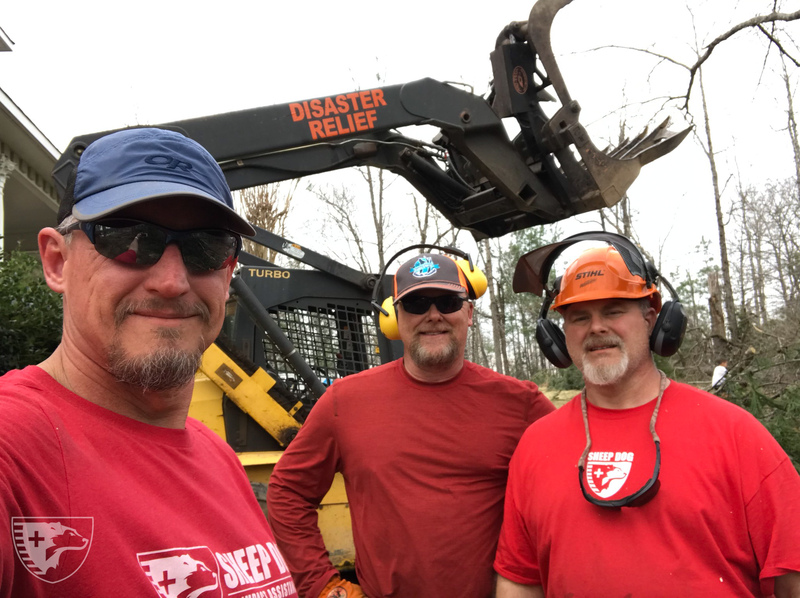 The chance to help fellow Sheep Dogs (military veterans and first responders) in their time of need is why many SDIA volunteers choose to participate in Disaster Response Missions (DRMs). The DRMs fulfill their innate desire to serve, but Sheep Dogs don’t anticipate how deeply affected they will be in other ways. At the end of each day on the DRM, volunteers were a little bruised and a lot tired, but all looked forward to the next day of assisting those in need. 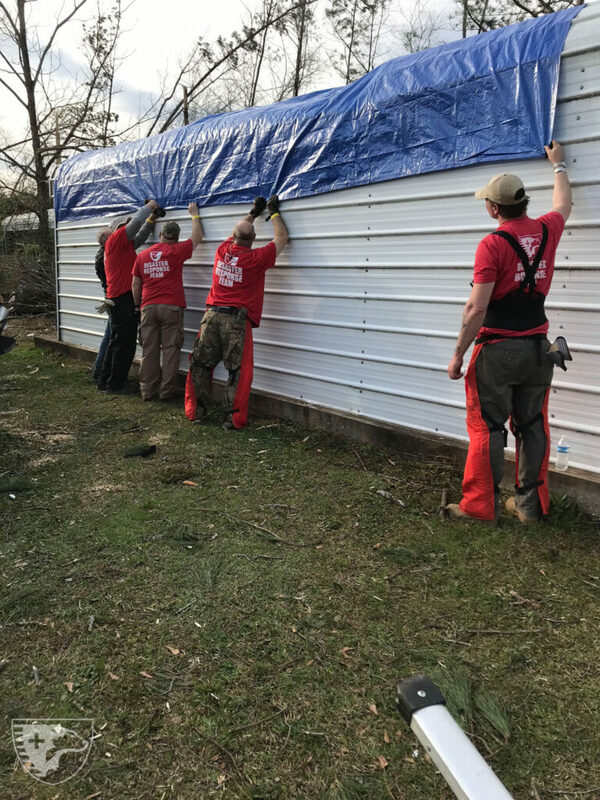 “Talking with the homeowners and working with other volunteers was very rewarding and motivating,” said Brian Horrell, Marine Corps veteran and volunteer. To see more photos from the DR mission, visit our Facebook Album and page. 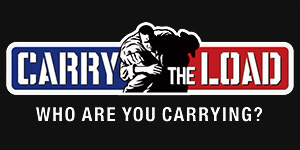 If you or a Sheep Dog you know needs to #GetOffTheCouch and could benefit from the camaraderie and support of fellow Sheep Dogs, contact us at Info@SheepDogIA.org. We’ll help you reengage in living a productive life with a renewed sense of purpose.